Complete Electric Service & Maintenance, llc. We are an electrical contractor that serves Green Bay, Wisconsin and the surrounding areas. We specialize in landscape lighting, custom home wiring, remodeling and lighting installation to support all your electrical needs. We provide free estimates. 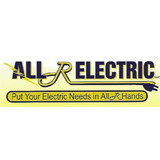 Here at All R Electric, LLC, we pride our company on reliability, great communication, integrity and quality work. We strongly believe in giving our absolute best in all of our projects no matter how big or small. We are experts in our trade and will always keep you educated on your particular task or project. We look forward to earning your business! At Dean’s Electric, we offer expert electrician services to Sheboygan and Manitowoc Counties and surrounding areas. No project is too small and we are available to assist you 24 hours a day, 7 days a week. 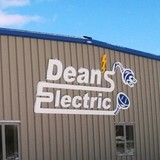 You can put your trust in Dean's Electric, LLC. We provide personal service and exceptional quality . We have been in business for nearly 8 years. In that time our unparalleled service, competitive prices, and overall value are why our loyal customers won't go anywhere else. We look forward to serving you! Ness Electric is locally owned and operated. We have four certified electricians on staff to serve your residential, commercial, manufacturing, and agricultural needs. Let us provide you with quality service at a reasonable price. Our small town values make every job important, and we aim to provide excellent service to all our customers. It’s our deeply held belief that WHY we do what we do is more important than WHAT we do. Suburban Electric exists to provide an exceptional work environment where people can thrive. When we give our team members the responsibility and authority to excel... they do. What do licensed Wrightstown electricians do? An electrical contractor plans, installs and repairs wiring in structures. He or she works closely with the home’s general contractor or remodeling contractor to determine the specific electrical needs for the project and to ensure that the wiring will meet Wrightstown, WI building codes. An electrical contractor’s job also includes installing and repairing fixtures, switches and other visible components of electrical systems. With today’s technological needs and advances, many electricians in Wrightstown, WI also are trained to install fiber optic and coaxial cables for electronic equipment. Certain electrical companies may design and install data systems and wire for security features such as alarms too. Some Wrightstown electrical contractors specialize in specific areas, such as HVAC, low-voltage appliances and systems and more, so be sure to ask about their training to see if it fits your project needs. Find a certified Wrightstown electrician on Houzz. 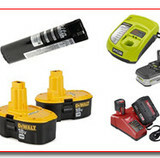 Narrow your search in the Professionals section of the website to Wrightstown, WI electrical contractors. Here are some related professionals and vendors to complement the work of electricians: Lighting Showrooms & Sales, General Contractors, Solar Energy Contractors, Heating & Cooling Sales & Repair.